The place is really unique. Room is quite spacious, food is so tasty and hotel service is really extra ordinary. The best place to travel back in time to the Spanish colonial era of 1592-1800's. Highly recommended, staff are very nice, the place is divine and the food is wonderful. We stayed in this hotel for our wedding preparation and we definitely love the whole place. It was rustic and romantic which was perfect for our photos and videos. Even our whole entourage, family and friends fell in love with the place. This hotel is highly recommended to those who want to experience a taste of the past. We booked one of their family rooms for a weekend getaway. The room was spacious, and the beds comfortable. The food was also good. Having an outdoor pool was a bonus. My family enjoyed our stay. Sulyap is very accessible from Manila. It takes you back into time where everything is much simpler. 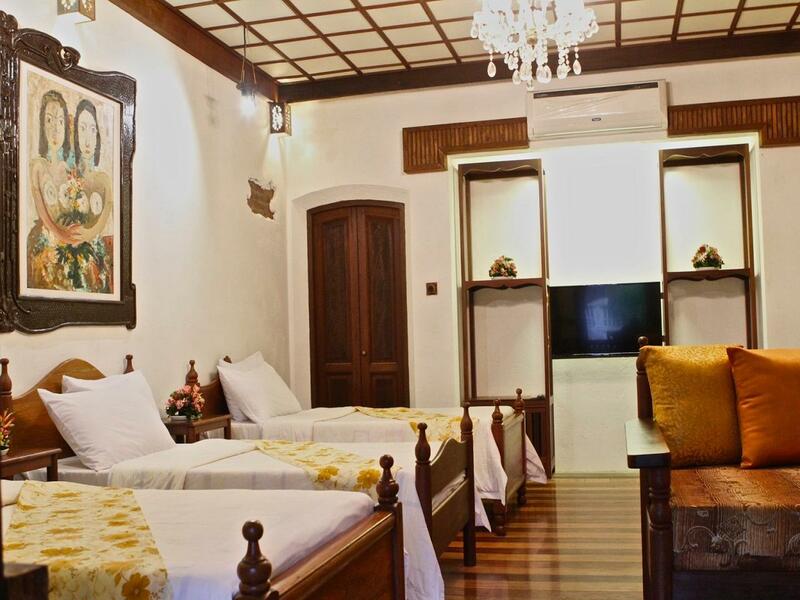 Quiet and cozy room to relax, great food and ambiance, all the things you look for a pleasant staycation. First and foremost, I would like to commend Kevin Mendoza for being an awesome staff! 😊 You are truly the reason why our stay was exceptionally great! Sulyap in itself is amazing. The view, the ambiance and the food. But what makes it stand out tobthe rest of the hotels that we have been is their staff Kevin. Your trip to Sulyap won't be complete if you have and will not experience the kind of service that Kevin offers. He smiles enthusiastically, attends to the needs promptly, shows sincere care for their guests, knows the menu very well and recommends the best food! He even recommended the best places to visit in San Pablo, where to buy the best pasalubongs and places that are safe for our kids or tht they will enjoy! He is very passionate in what he do that you can see right through his actions his utmost care for his job and for the hotel. No amount of tip can actually equate the kind of service that he offered to us and ge has to offer to other guests. I have only nice things to say about him because we also get to experience the service that other staffs had to offer and I must say that if not for Kevin, my rating for staffs would only be 1 star. Kuddos, Kevin! 😉😊 You are remarkable! God Bless your heart more! ❤️ I will definitely recommend Sulyap because of you and we will surely visit again! I stayed overnight at Sulyap with my mom and sister. We loved the attention to detail in the old houses, really unique and well preserved. The museum/gallery is also a beautiful collection of antiques worth seeing. The food at the cafe is superb, a great representation of local cuisine. The only negative point is that the bathroom fixtures in Casa de Alitagtag need a lot of maintenance. The hot water in the shower did not work and the shower did not drain properly, so we had to shower in another room which was very inconvenient. Otherwise we would be happy to come back again and bring guests here! The room is big and smells good. Electric kettle is provided upon request. All the staff we encountered are nice and helpful especially RJ who assisted us during my husband's birthday dinner. There is an event when we were there, but we didn't feel crowded. The pool is small but the kids still enjoyed it. Let's start with the good. The restaurant's food quality was great. Even the coffee was excellent. That's it. We arrive at Friday evening, tired from the usual Friday heavy traffic and the work week. In the next 10 minutes, we noticed issues that aren't supposed to be problems in $120/night accommodations: 1. No WIFI in the room (the listing did say they had it) 2. The bathroom water pressure was weaker than my son could pee 3. The hot shower system was not turning on 4. The phone to the front desk, also not working 5. No provided drinking water / electric kettle in the room 6. Walls and ceilings so thin make it impossible to get sleep thanks to noisy footsteps and conversations from neighboring rooms 7. Worst complimentary toothbrushes ever -- while using it, all the bristles detach from the toothbrush head and into your mouth. 8. Towels were never replaced during our entire stay 9. No hair drier 10. Shower and sink areas were not well-cleaned before we checked in With no working hotel phone, we had to get some of the issues addressed by walking back and forth to reception during the first couple of minutes of our stay. Saturday morning, there were barely any guests at the restaurant -- so we got our breakfast on time. We didn't know how lucky we were until the next day. Come Sunday, the restaurant was half full. Breakfast was pre-ordered the night before for 10am and yet there was nothing ready by 10:30am. Individual food items start arriving one dish/cup/glass at a time around 10:40 (e.g., cold coffee, cold hot choco, etc. ), thanks to the front desk manager who opted to leave the desk and serve the food herself. Sulyap does a great job of transporting you to the 18th century with the decor, ambiance, and impressive antique collection -- unfortunately, they went too far. The quality of the facilities and customer service desperately needs to be pulled from centuries past into 2017. Great place. It gets busy during lunch/dinner time because of the restaurant guests. The time we were there, someone was even using the grounds as location for a debut pictorial. It would be better if they separate some part of the grounds only for stay-in guests. The main attraction in this hotel is their great food. Pinoy foods were cooked with an added twist that you can only get in Sulyap. The set-up is in all Filipino from the food, to the design of the hotel. Visit their museum to have a look at their family collection of antiques. 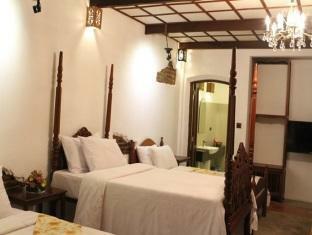 Their rooms have relaxing ambiance, a combination of old Filipino design and modern amenities. Don't forget to go around Sampaloc Lake and have snacks at Cafe Lago. Have your picture taken with Cafe Lago's lovely pet dog named Tabi, a mix of White Labrador and Siberian husky. We stayed at Casa Alitagtag this time which is the house beside the restaurant. We stayed in the second floor. Room was spacious and beds are comfortable enough. The toilet and shower are very spacious as well. Food in their restaurant is Filipino food but I think it is a bit pricey. Breakfast meal is a normal silog meal with your choice of drink of coffee, tsokolate or canned juice costs 295 pesos plus service charge. That's the con for me. But overall, our family likes coming back here. We enjoyed our stay in the end, but our first night was awful, as the group above us was very rowdy and noisy. The wooden floor carries all sounds. Being in an upstairs room is a must if you like to have a good quiet sleep.